Could you be getting a better DAM deal? There may be a variety of reasons why you feel it's time to leave your current DAM offering and join ResourceSpace, not least for the wide range of additional features that you and your team could benefit from upon migrating. We provide comprehensive search functions, advance metadata options, and extensive authority and permission control capabilities. To see these, and many other industry-leading tools in action for yourself, you can sign up for our completely free trial at: https://www.resourcespace.com/trial, or view our full list of available features at: https://www.resourcespace.com/features. 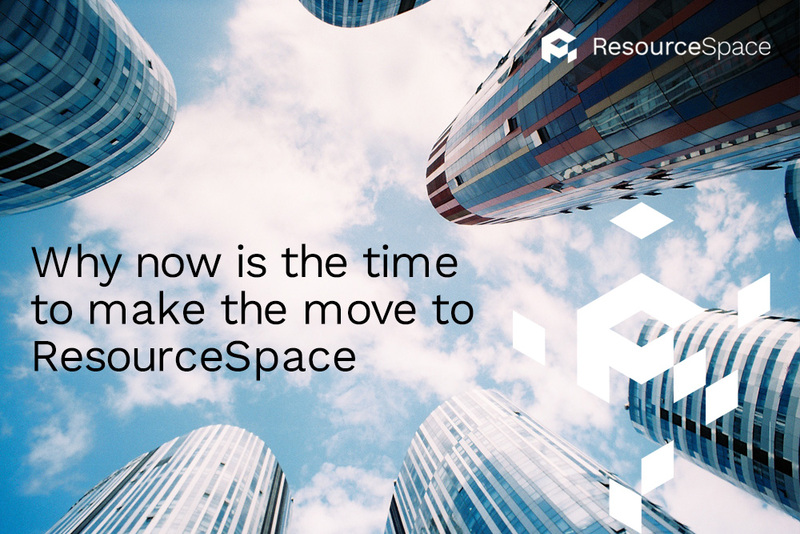 With ResourceSpace, you'll also enjoy a reduction of annual costs, as there is no license fee to pay. Moving to an open source model may also be something that your organisation has been considering - by removing vendor lock-in, you'll have greater creative freedom to customise your DAM, and become part of a wider global community of knowledgeable developers and programmers. For more in-depth information, our white paper, Open Source VS. Proprietary Software, will allow you to discover how open source DAM software can provide scope for unlimited modifications, the broadening of your IT skill set, and enhanced security features. Migrating to a new DAM provider doesn't need to be a headache - in fact, ResourceSpace has processes and support in place to ensure that making the move will be a seamless and trouble-free experience. Within our free software, we offer tools designed to make migration simpler, such as CSV upload for the easy migration of Metadata. You can also use speedy batch replacement, allowing you to load asset files easily by automatically matching them to resource records. When you're migrating to ResourceSpace, you're not undergoing the task alone. Our Knowledge Base of helpful articles and tutorials is always on-hand to provide you with immediate instructions, and as part of our onboarding fee and ongoing annual support packages, the ResourceSpace team will assist with every aspect of your DAM move. Ready to move on? Many ResourceSpace customers have made the migration from alternative DAM systems such as Canto Cumulus, Extensis Portfolio, MediaBeacon and Piction. For others, ResourceSpace has proven to be the next step from non-DAM systems such as SharePoint and Lotus Notes, or even in-house methods such as spreadsheets and bespoke databases. To join them in experiencing an incomparable approach to DAM, start your free trial of ResourceSpace today. To talk to the team further about your DAM progression, simply get in touch.